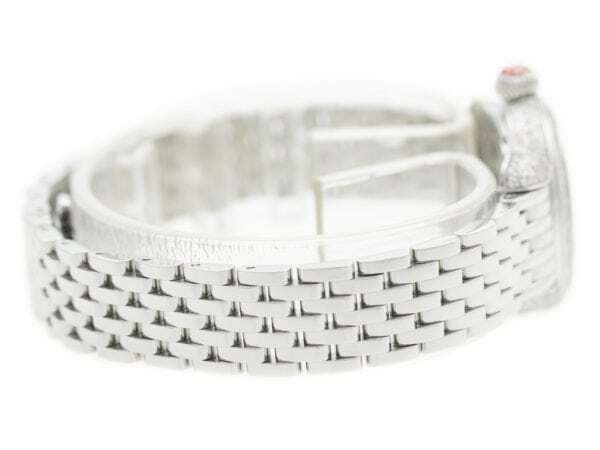 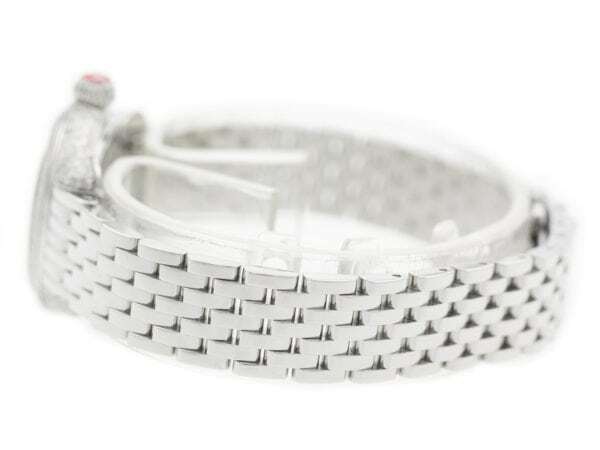 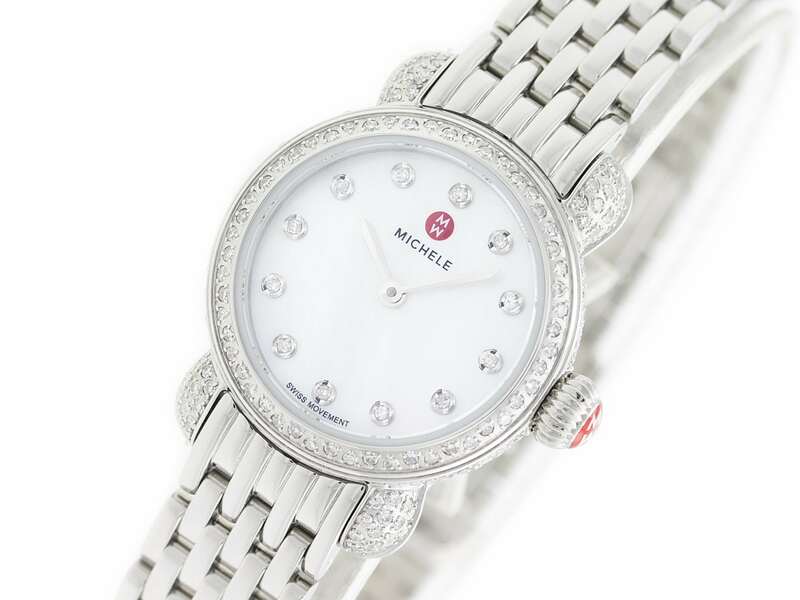 Stainless steel Michele CSX MWW03A000230 watch, water resistant to 50m, with diamond case & indexes. 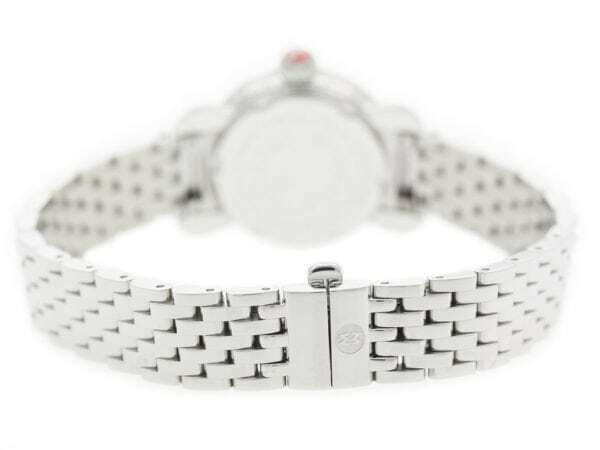 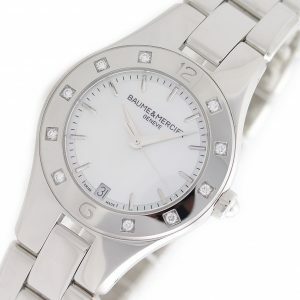 Stainless steel Baume & Mercier Linea MOA10071 watch, water resistance to 50m, with date and diamond bezel. 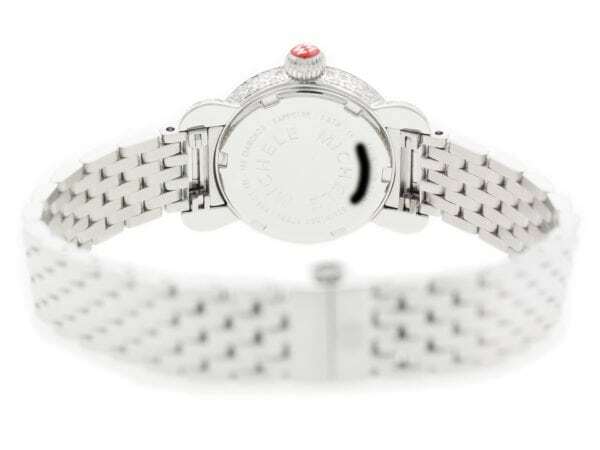 18K Yellow Gold Rolex Datejust Pearlmaster 80318 watch, water resistant to 100m, with jubilee diamond dial and bracelet. 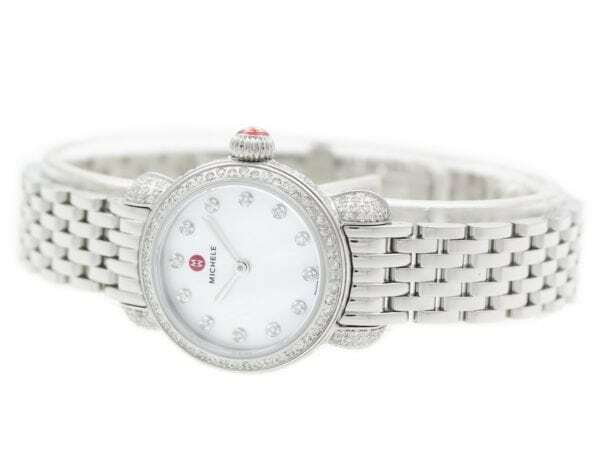 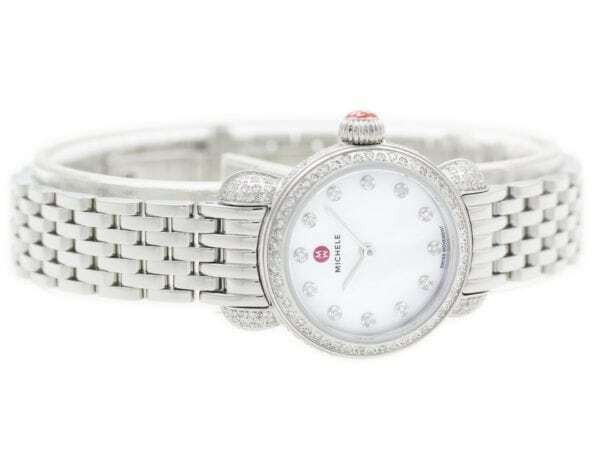 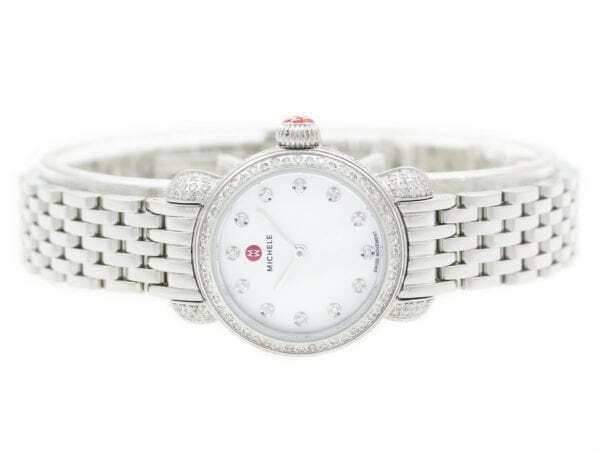 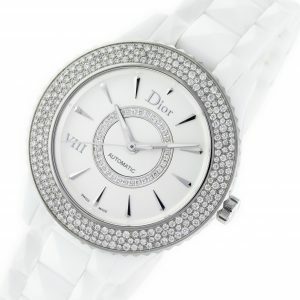 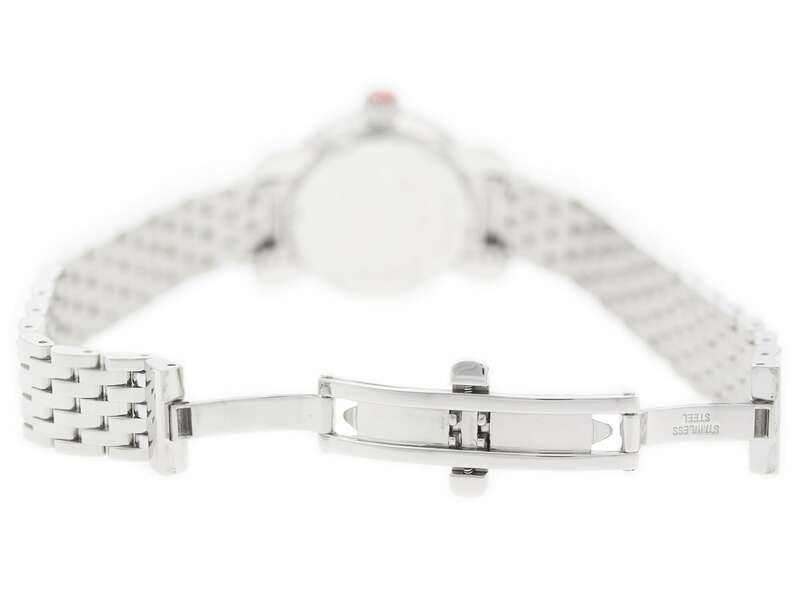 Ceramic Christian Dior VIII CD1245E5C001 watch, water resistant to 50m, with ceramic bracelet, white diamond dial, and steel bezel with diamonds. 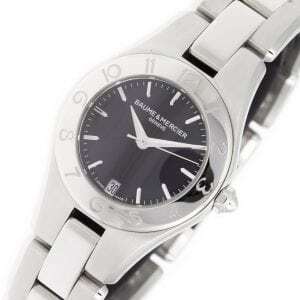 Stainless steel Baume & Mercier Linea MOA10010 watch, water resistant to 50m, with date and numeral bezel.